Hey, it’s Tuesdays, and here’s an update on stuff. We are 47 days out from opening night on October 20th at the DCU Center. We recently launched our new marketing for year two. It’s called Railers 2.0. Year two will be Bigger. Badder. and Better. We are taking the successes of year one, and building off them to improve for our second season. A big part of that is our promotional schedule, and we have another jam-packed promo year. We are going to have a College Night this year. And for all you college kids out there, it’s going to be “lit”–that’s all I will say about that for now. A Gilly Gilly bobblehead giveaway. Those things are going to fly like hotcakes so make sure to camp out the night before January, 12th. And make sure to wear your “Gilly Gilly” t-shirt as well. 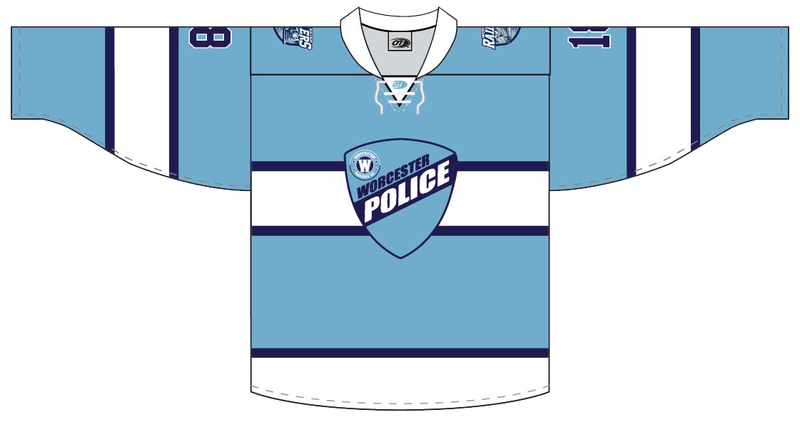 The Guns N’ Hoses game on November 3rd is going to feature this sweet Worcester Police blue jersey…and it is fre$h. I am PUMPED for the Black Panther specialty jersey on November 23rd. Side note: if you haven’t seen Black Panther at least twice already, get on it. It’s coming to Netflix soon I hear. Ugly Sweater jersey night to benefit the Shine Initiative…Eric should have no trouble finding something ugly to wear this night. Be Like Brit jersey on January 13 presented by Country Bank. Pink in the Rink jersey on February 9th. A Nickeloden jersey on March 9th…did you see those SpongeBob jerseys last year? Art. Specialty Jersey to benefit the March of Dimes on March 30th. If you look at the promo schedule you’ll also notice there are a lot of celebrity signings. Some names have been floating around, and while I haven’t heard the New Kids on the Block mentioned, there are some intriguing guests lined up for this year. Get psyched. Our community guy Paul Harris and members from our corporate department recently did a complete makeover of the library at Lakeview Elementary school in conjunction with project sponsors Unum, Cutler Associates, NAL’S paint center, Sunshine Sign, and Chick-Fil-A. It was a great team effort and the finalization of the library was revealed in last week’s Tuesdays with Tom episode. I would love to be able to go and chill at the library and read all day. I’m on my fourth book this summer, and could use a nice reading space to wrap up before the summer ends. We currently have 12 players on our roster. We are excited about the roster we have put together this off-season. I’m already envisioning a line of Barnes-Almeida-Sorkin lighting it up. All three lead theirs teams in scoring last season. Defenseman Ben Masella was traded to the Florida Everblades. I’m going to miss that guy. He had a great ‘stache mid-season and is the only person I know that still wears acid-stained ripped jeans. In case you live under a rock, Pow! Wow! Worcester is back for year three. We are proud to sponsor the international mural festival again, and stoked to have another piece of art go up on the back of the Fidelity Bank Worcester Ice Center. Keep your eyes peeled for a silky smooth TWT episode on the new mural coming this week. And speaking of the Fidelity Bank Worcester Ice Center, a new team will be calling the FBWIC home–the Boston Blades, now the Worcester Blades, hit the ice in October. The Blades are members of the Canadian Women’s Hockey League and are a welcome addition to the FBWIC hockey family. An article in the T&G noted that several U.S. Olympians have played for Boston, including Hilary Knight (2012-15), Meghan Duggan (2011-15), Kacey Bellamy (2010-15) and Gigi Marvin (2012-13). Froze is gonze (gone) at Railers Tavern. I guess that’s how you really know the summer is over. On the bright side, that means hockey is right around the corner. Players will report to training camp on October 1st. Presale started, A.K.A. 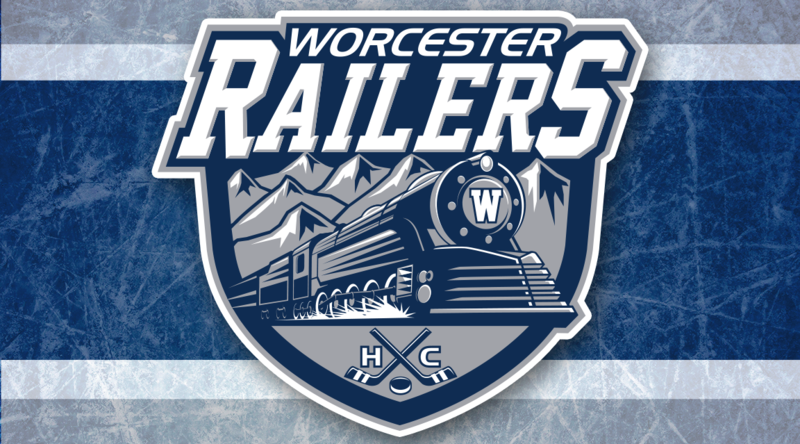 you can now purchase tickets for the Railers 2018-19 regular season. Get your tickets for opening night, Saturday, October 20th before it sells out! Use code “pre” to purchase tickets HERE.